The Page Proofs are Here! Some announcements, and a small fun thing to share. First, I have written an essay on Plato, historicity and metaphysics, based on my experiences teaching the Republic to undergraduates and responding to Jo Walton’s The Just City. It is up on Crooked Timber as part of a set of responses to The Just City, and the essay has plenty of elements to enjoy even if you haven’t read the book. Second, due to a recent policy change in Italy’s national museums I was able to finally take literally thousands of photos of artifacts and spaces in museums that have been forbidden to cameras for years. I’ve started sharing the photos on Twitter (#historypix) so follow me on Twitter if you would enjoy random photos of cool historical artifacts twice a day. There is a dimly-lit hallway half way through the Vatican museum (after you’ve looked at 2,000 Roman marbles, 1,000 Etruscan vases and enough overwhelming architecture to make you start feeling slightly punchy) hung on the left-hand side with stunning tapestries of scenes from the life of Christ based on cartoons by Raphael. 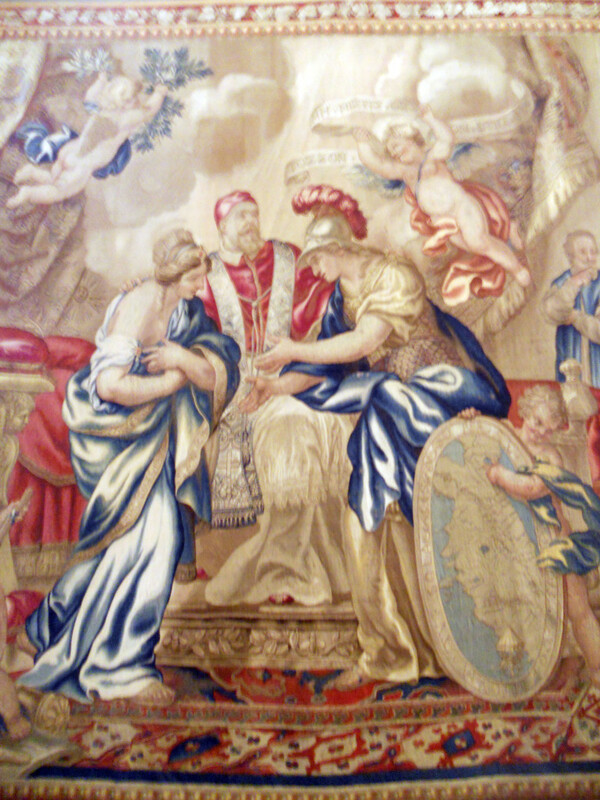 But on the right-hand side in the same hallway, largely ignored by the thousands of visitors who stumble through, is my favorite Renaissance tapestry cycle, a sequence of images of The Excessively Exciting Life of Pope Urban VIII. My best summary of these images is that, when I showed them to my excellent friend Jonathan (author of our What Color is Pluto? guest post) he scratched his chin and said, “I think the patronage system may have introduced some bias.” And it’s very true, these are an amazing example of Renaissance art whose sole purpose is excessive flattery of the patron, a genre common in all media: histories, biographies, dedications, sculptures, paintings, verses, and, in this case, thread. 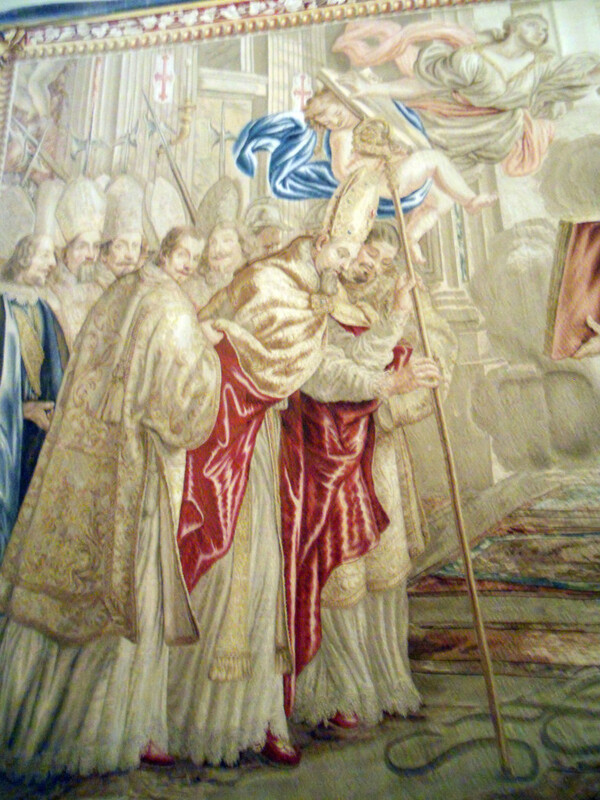 My favorite is the first: Angels and Muses descend from Heaven to attend the college graduation of young Maffeo Barberini (not yet pope Urban VIII) and give him a laurel crown. If all graduation ceremonies were this exciting, we’d never miss them! Also someone there has a Caduceus, some weird female version of Hermes? Hard to say. 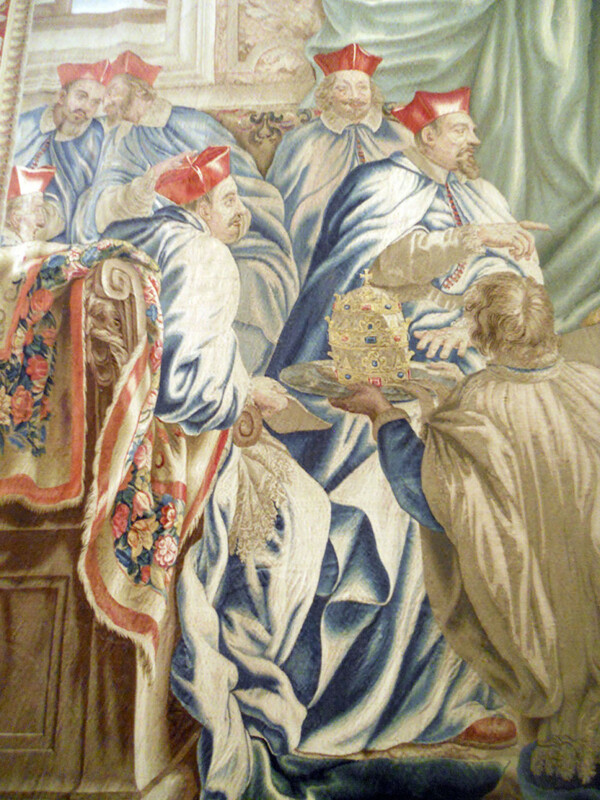 And look at the amazing fabric on the robe of the man overseeing the ceremony. 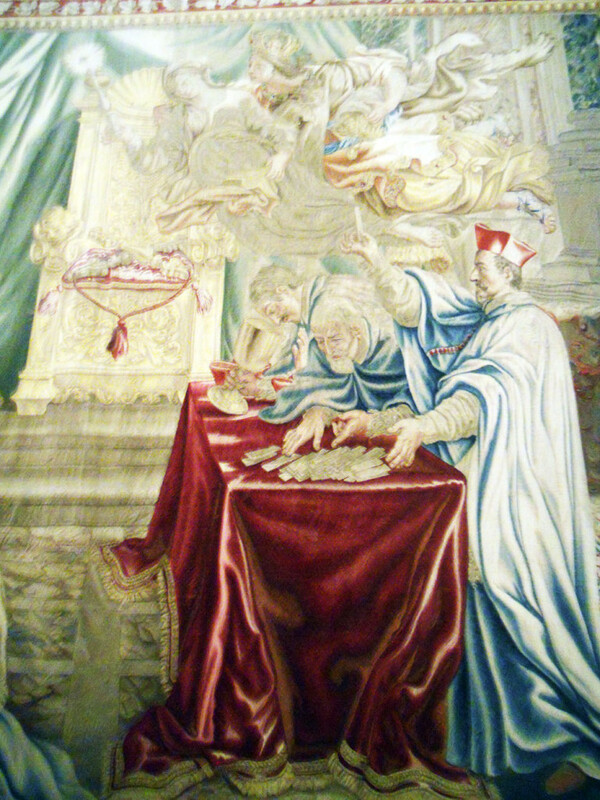 Second, Maffeo Barberini receives the Cardinal’s Hat, attended by an angel, while Pope Paul V who is giving him the hat points in a heavy-handed foreshadowing way to his own pope hat nearby. What could it mean?! Next, the fateful election! 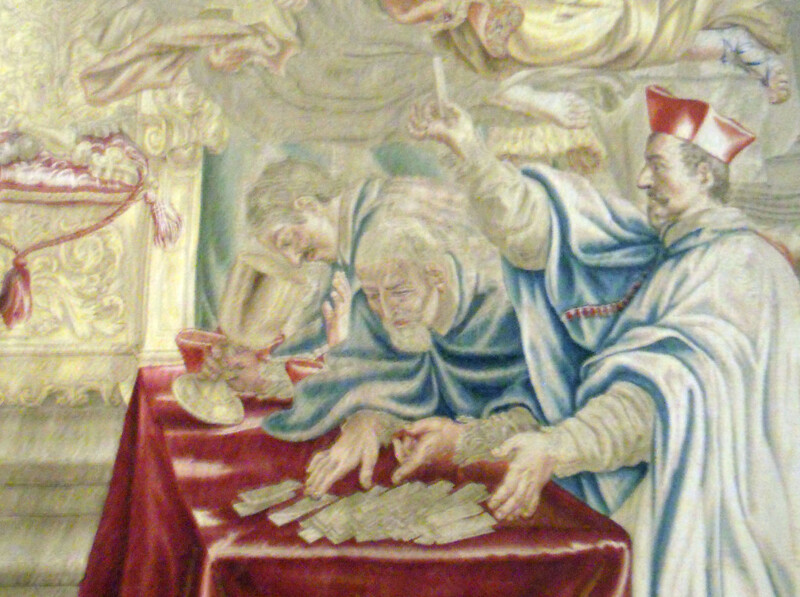 Heavenly allegories of princely virtues come to watch as the wooden slips are counted and the vote counter is astonished by the dramatic result! Note how, propaganda aside, this is useful for showing us what the slips looked like. 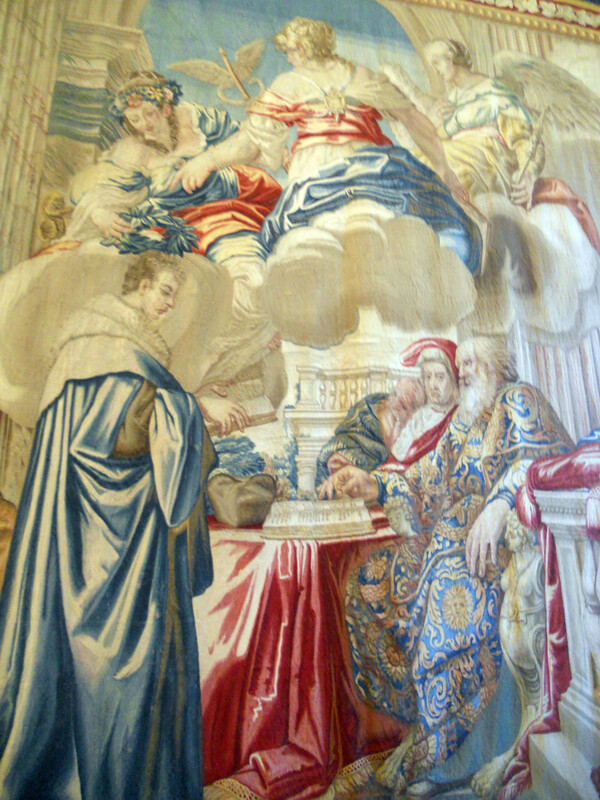 On the other side of the same scene, our modest Urban VIII is so surprised to be elected he practically swoons! And even demands a recount, while the nice acolyte kneels before him with the (excessively heavy) papal tiara on a silver platter. And finally, Urban VIII defends Rome from Famine and Plague by getting help from St. Peter, St. Paul, Athena, and St. Sebastian. Well done, your Holiness! How about that for the exciting life of a late Renaissance pope? You get to hang out with lots of allegorical figures, and vaguely pagan deities as well as saints, and everyone around you is always gesturing gracefully! 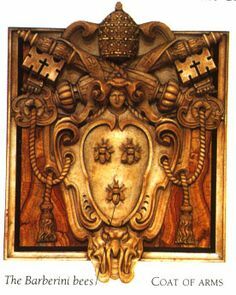 No matter they fought so hard for the papal tiara. Also, no bankers or moneylenders or interest repayment to be found! More seriously, another century’s propaganda rarely makes it into our canon of what art is worth reproducing, teaching and discussing, but I often find this kind of artifact much more historically informative than most: we can learn details of clothing, spaces and items like how papers are folded, or what voting slips looked like. We can learn which acts a political figure wanted to be remembered for, what seemed important at the time, so different from what we remember. 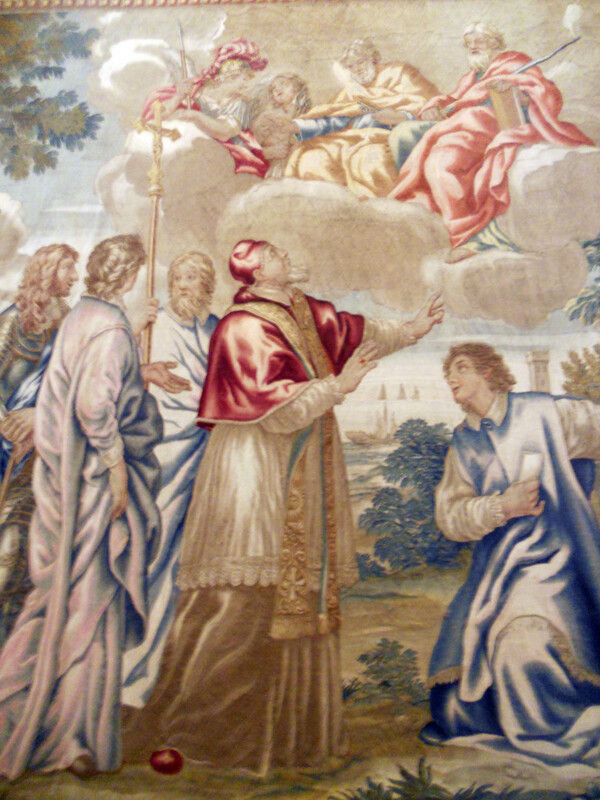 A tapestry of him canonizing St. Ignatius of Loyola would certainly be popular now, but in his day people cared more about immediate military matters, and he had no way to predict how important St. Ignatius would eventually become. Pieces like this are also a good way to remind ourselves that the Renaissance art we usually see on calendars and cell phone cases isn’t representative, it’s our own curated selection of that tiny venn diagram intersection of art that fits the tastes of BOTH then AND now. And a good reminder that we should always attend graduation ceremonies, since you never know when Angels and Muses might descend from Heaven to attend. 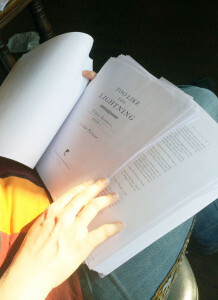 Now, back to the Page Proofs! 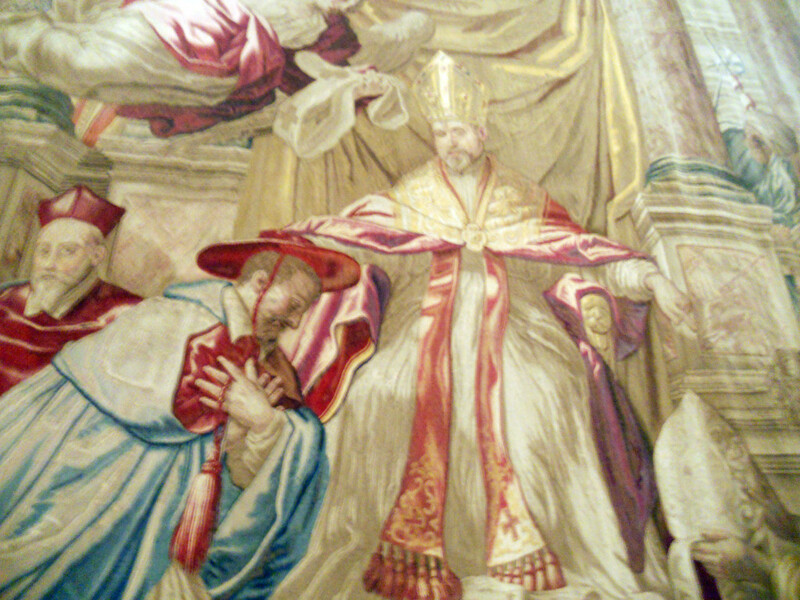 Didn’t Gregory XV canonize Ignatius? 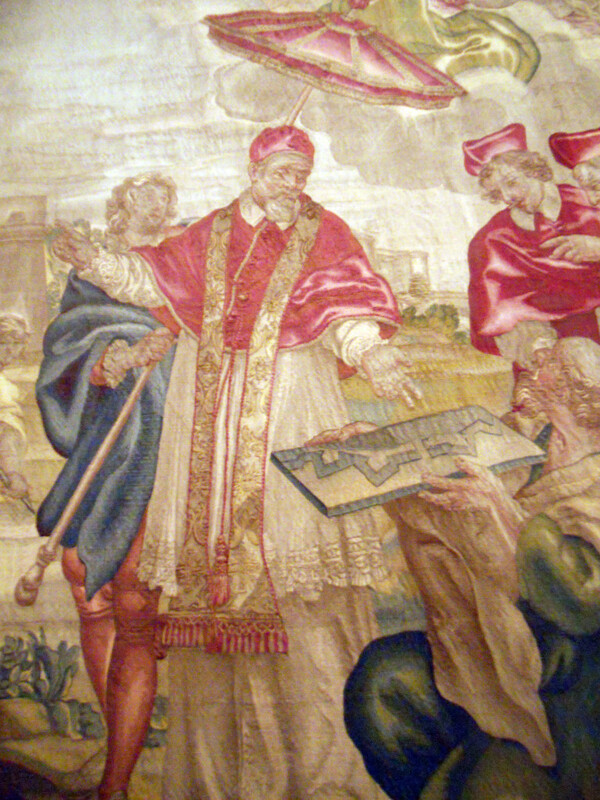 Gregory XV started the process, but Urban VIII finished it, for Ignatius and Francis Xavier. Yes, worth noting it was a multi-pope affair. Then I’d guess that was a win as a marketing strategy! I hope you catch up on sleep before you read The Philosopher Kings. 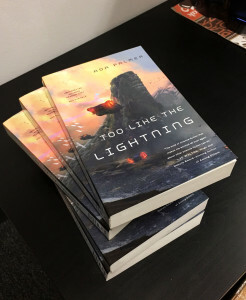 Just please don’t try that with my “Too Like the Lightning” when it comes out –> it’s longer! Start earlier in the day, yes. Because if you fall asleep in the middle of TLTL you have very strange dreams. Such a great book. As for the bells, the first morning I was in Florence, the bells woke me, so close, so loud. I went up on my elbow in bed and I could see through the window the bells in Giotto’s bell tower, still swinging, right there, and my elbow gave way and I just lay there laughing. Best way to wake up. It was definitely a win. I just finished reading the Philosopher Kings and it was even better. It made me squee and laugh and cry and want to know so much more about Plato and Pico and also look up those prefaces by St Jerome. Thank you so much for writing those books (and thanks to Ada for recommending them). I will definitely pick up TLTL as soon as it comes out. Now admittedly I’m much more familiar with medieval art, but when young innocent Maffeo accepts his cardinal’s hat, isn’t he in the traditional pose of Mary at the Annunciation? Yes, good spotting. The gesture is very similar, and is also a more broadly-used gesture in other contexts, indicating modesty and tenderness and surprise.